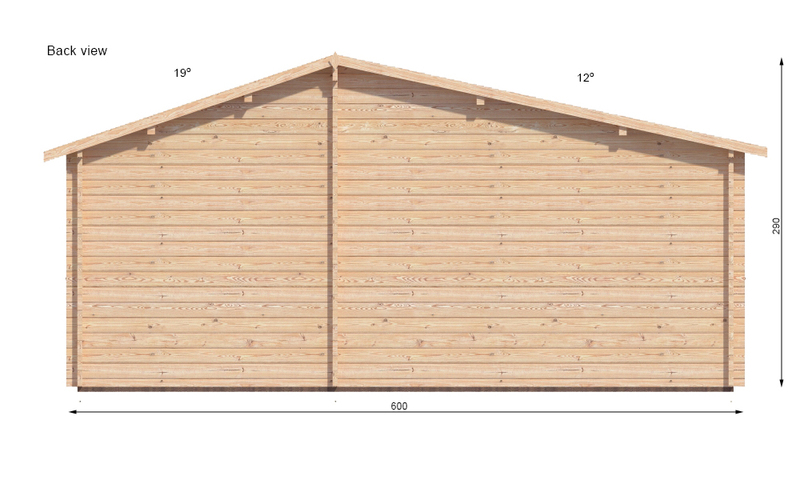 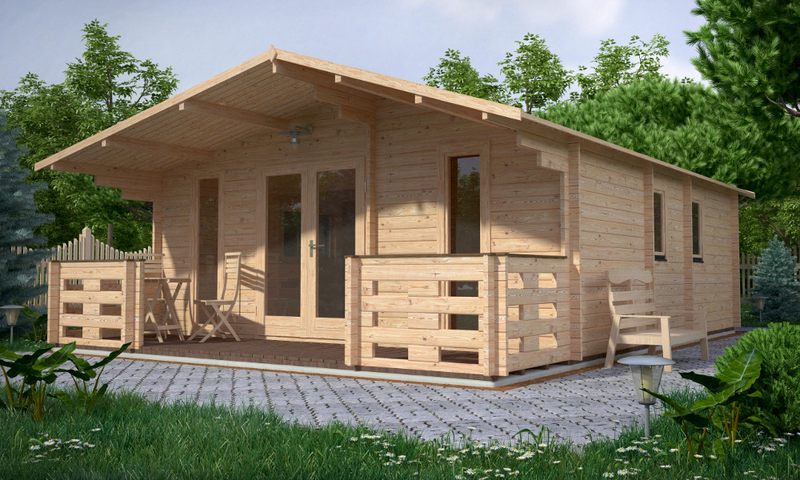 The Padova Cabin features multiple rooms and a front veranda. 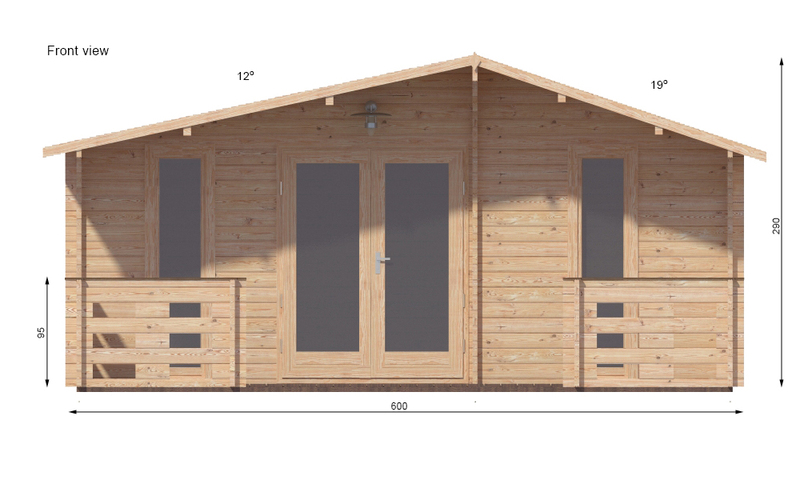 The front elevation has floor to eaves height windows and a pair of French doors. 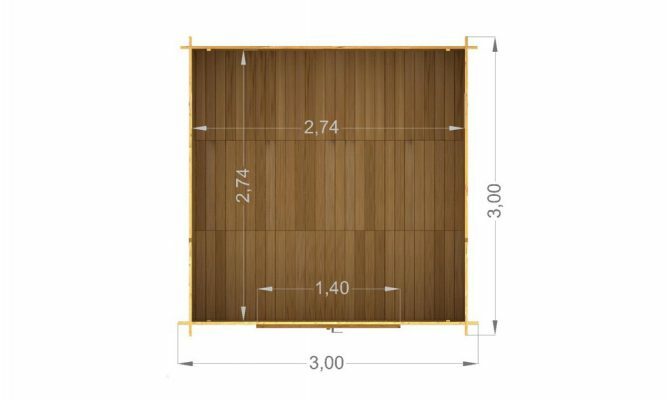 This makes for a light interior and an aesthetically pleasing exterior. 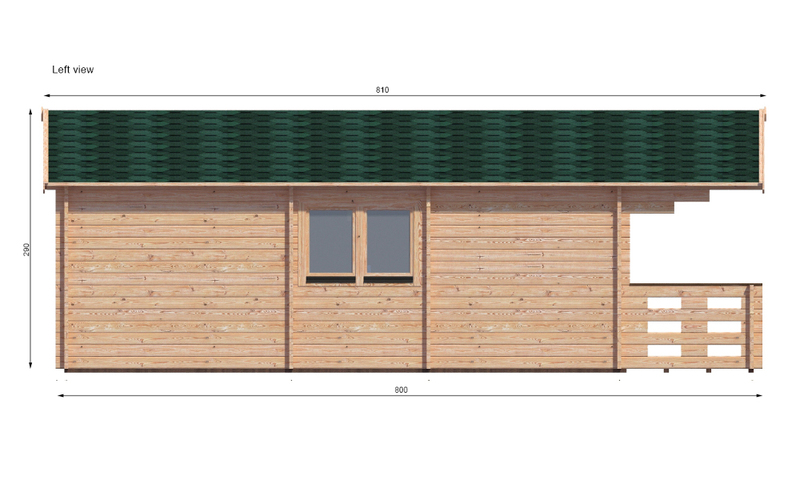 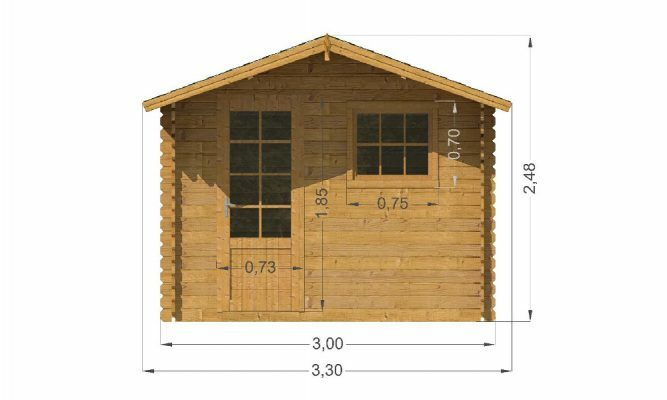 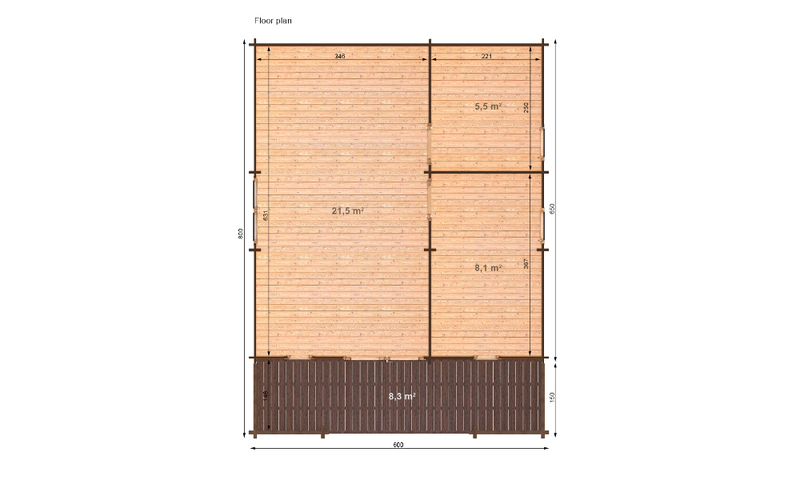 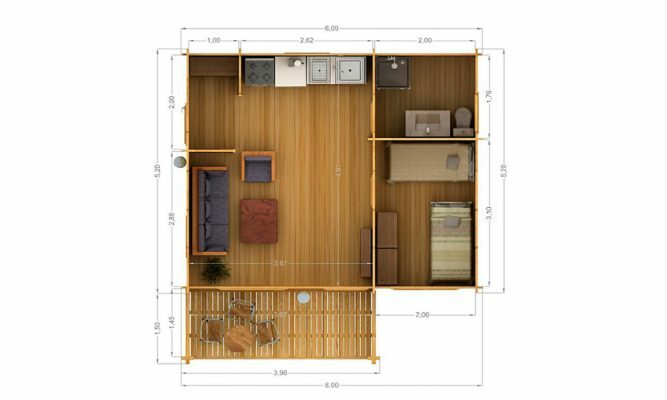 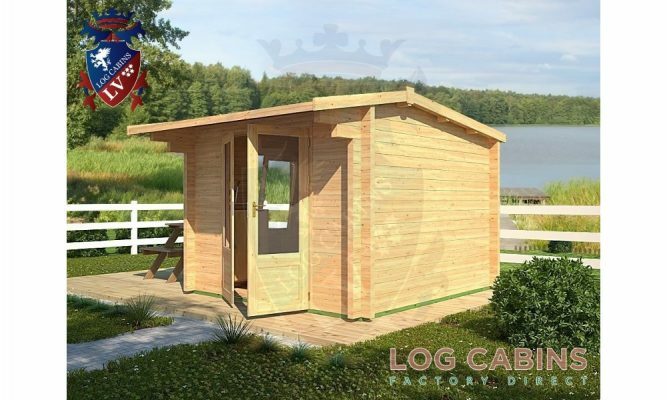 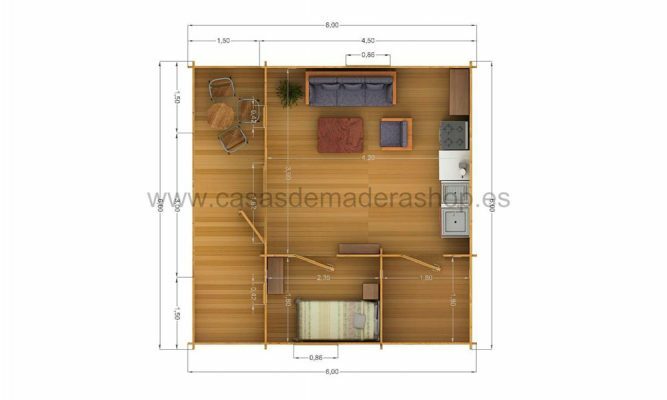 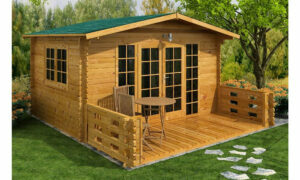 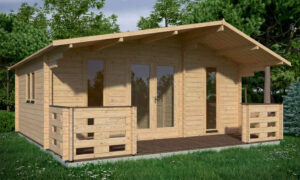 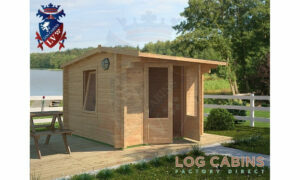 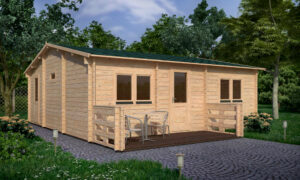 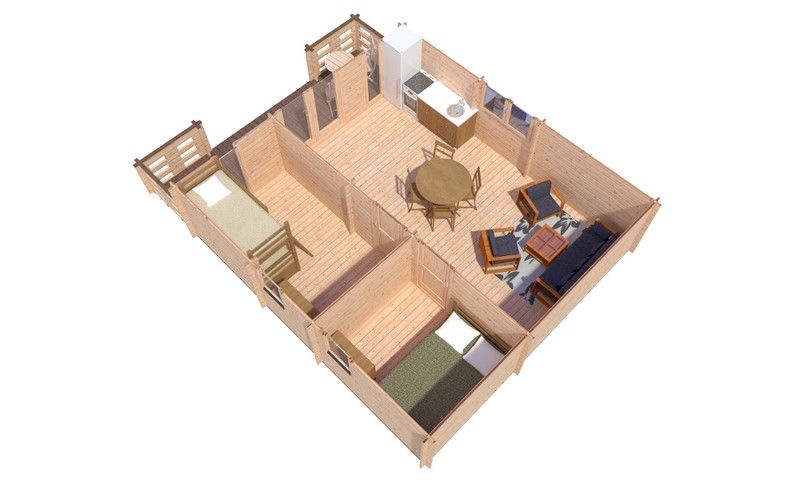 The size of this cabin makes it an ideal study or guest accommodation. 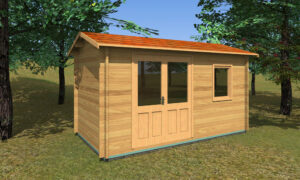 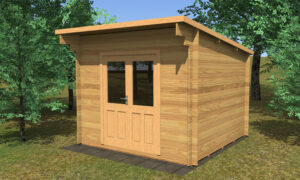 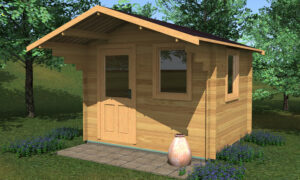 Alternatively it makes a great combination summerhouse and garden storage solution. 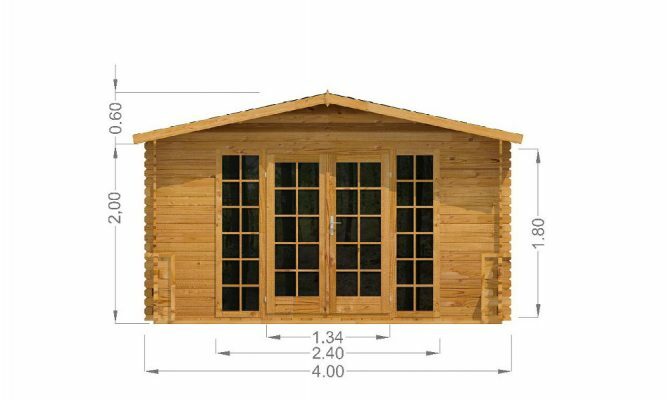 With security and warmth in mind, this log cabin is fully double glazed. 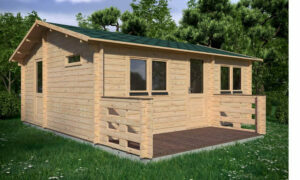 You can further improve the warmth of this cabin by upgrading to twin-skin walls and our floor & roof insulation options. 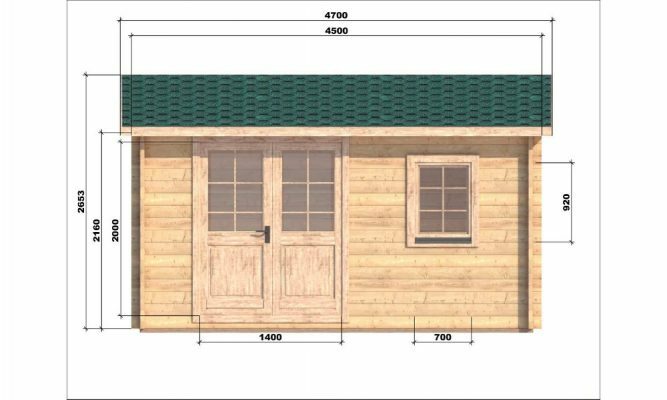 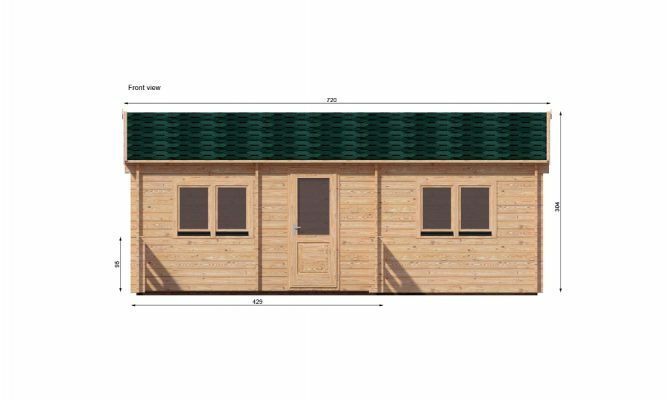 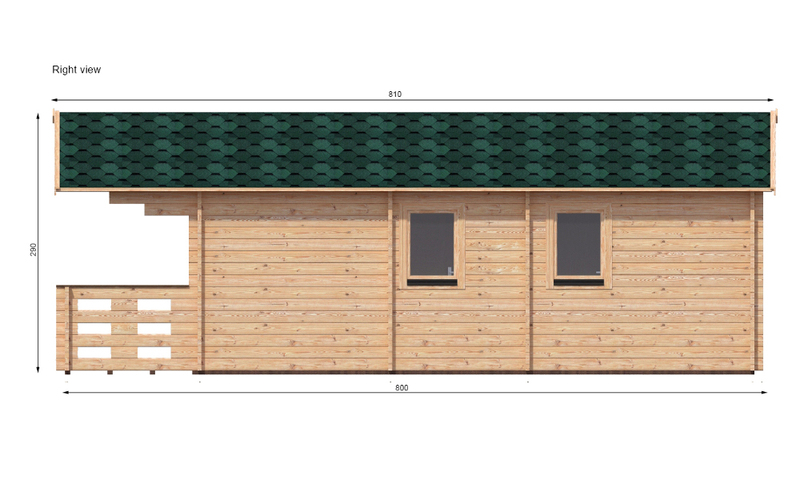 An electrics pack would further enhance the building allowing this log cabin to be transformed into a functional hobby room or workshop.